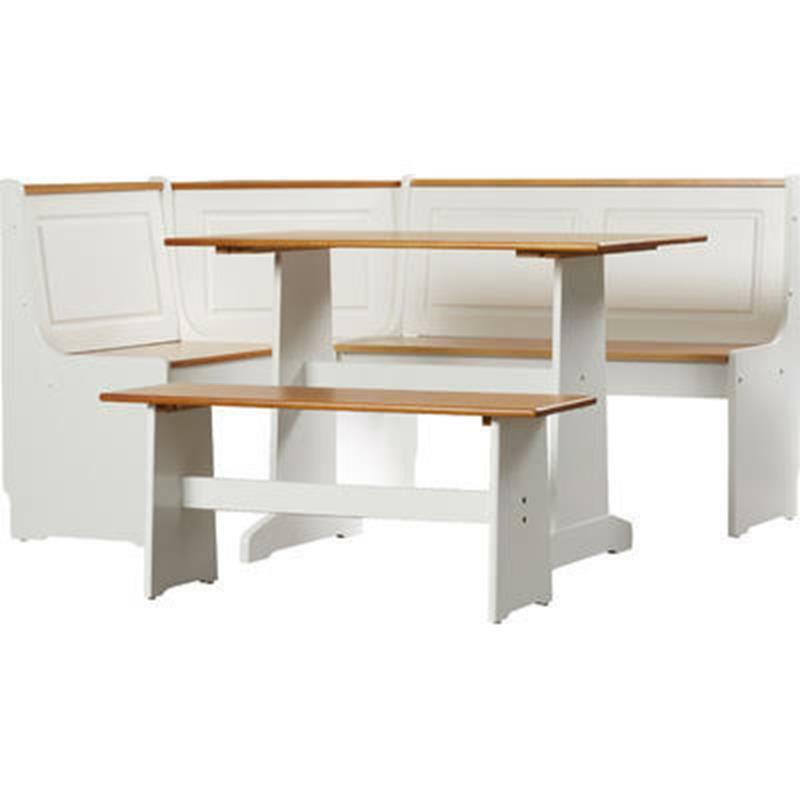 We love breakfast nooks because they both look amazing and serve a practical purpose. Let’s face it, not every meal calls for a dining room table. There are less formal eating times and a breakfast nook serves that purpose wonderfully. You can also turn your breakfast nook into a work space for those days you just don’t feel like going into the office. Breakfast nooks come in all shapes and sizes. Some seat 6 or more people where others are comfortable for 2. You will find them in all kinds of styles and designs, from traditional to contemporary, artistic to minimal. 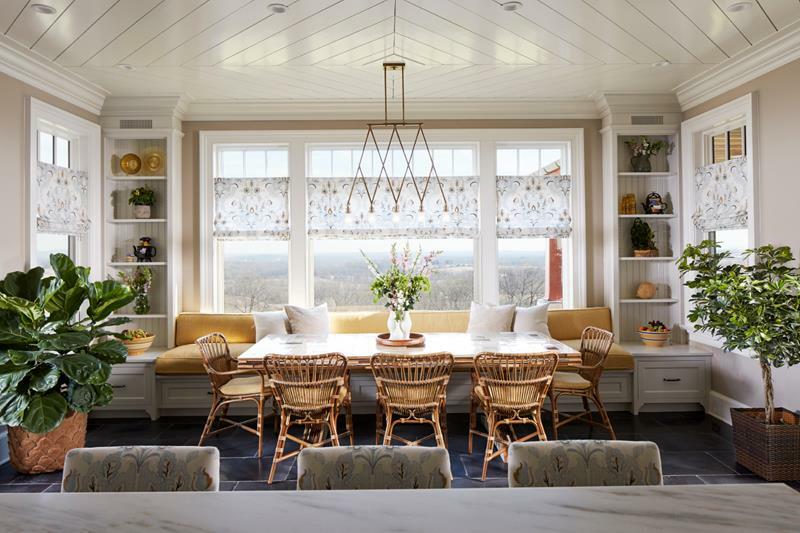 We have gathered over 25 different breakfast nook ideas for you to browse through. Some of them are pre-fabricated, so you can buy them and install them with minimal trouble. If you are looking for a great way to spruce up your kitchen area and get some more dining space, a breakfast nook may be just what you need! This wonderful white and hardwood breakfast nook will work wonderfully with multiple design styles. It is simple and will be easy to install. 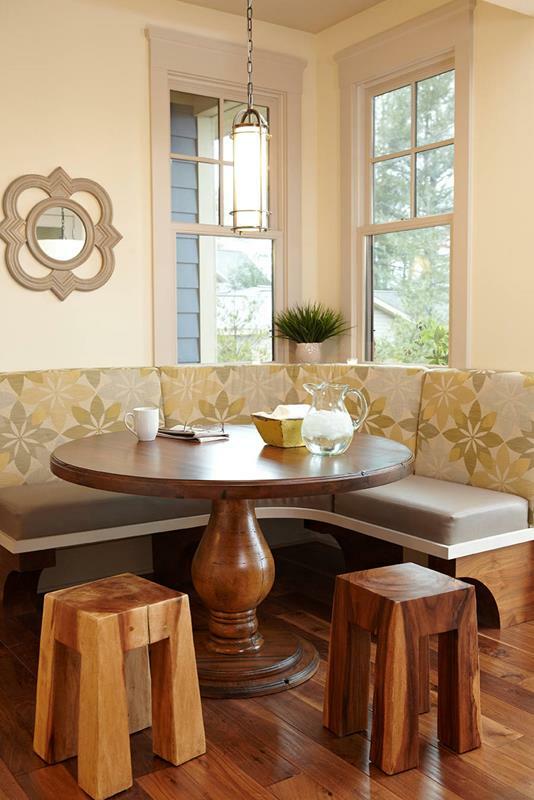 We love this breakfast nook because of its simplicity as well as the easy use of cushions. The blue brings just the right amount of color. 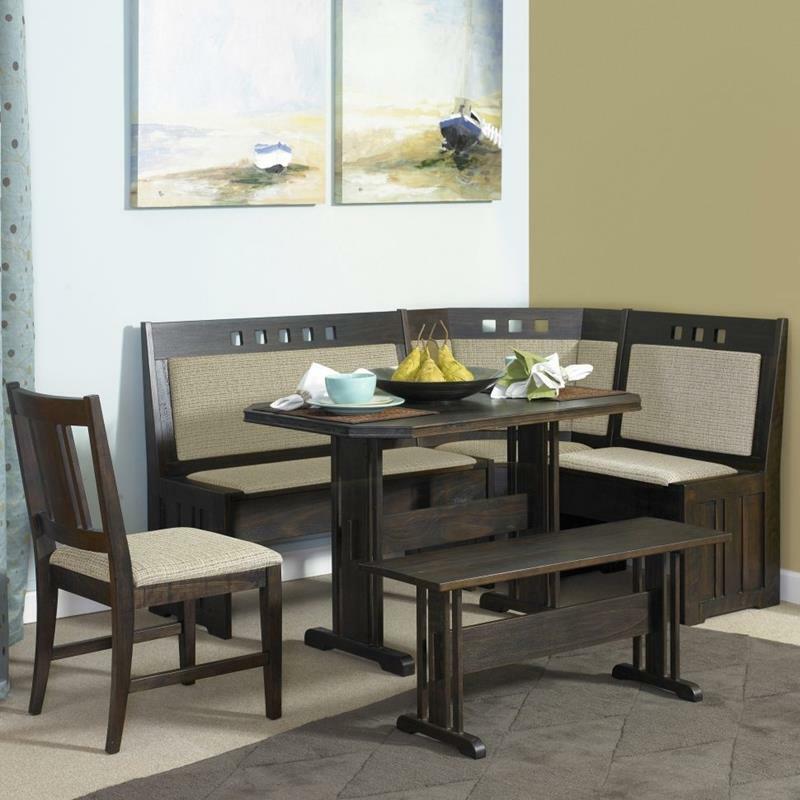 This 4-piece breakfast nook has a modern European design that look sophisticated. We love the hardwood design and how well the beige matches. 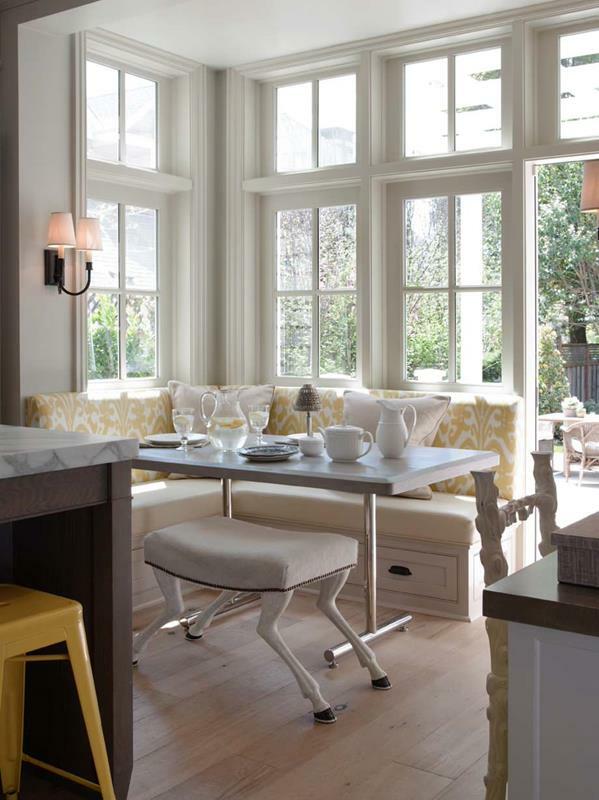 Breakfast nooks that fit into and wrap around a bay window area are fantastic. This one uses a traditional design and great cushioning. This dual booth style breakfast nook has a great hardwood table that matches the floor. You can appreciate the country charm of this space. We love how well the glass table enhances the mood of this breakfast nook area. Situated in the bay windows, natural light shine in here. 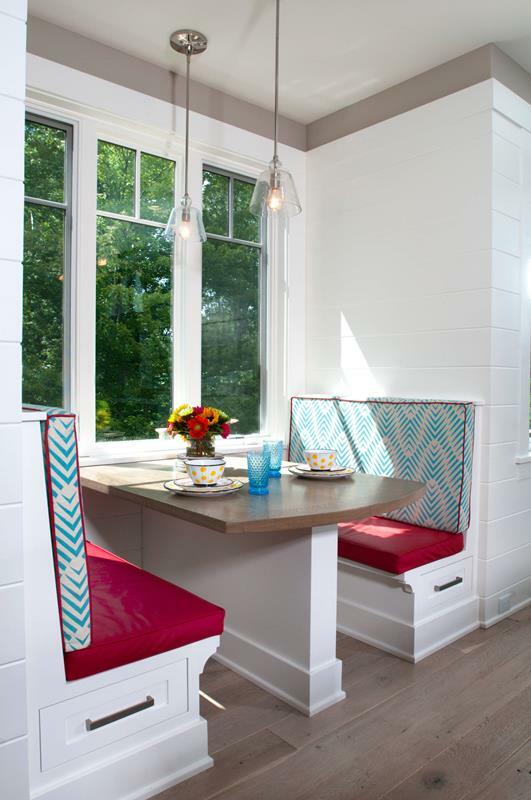 This breakfast nook has a wonderful cottage style, but makes it contemporary . The metal frame for the table is such a great look, especially with the light designs. This breakfast nook has a great diner design that is made to be elegant. These comfortable leather cushioned booth style seating looks amazing. 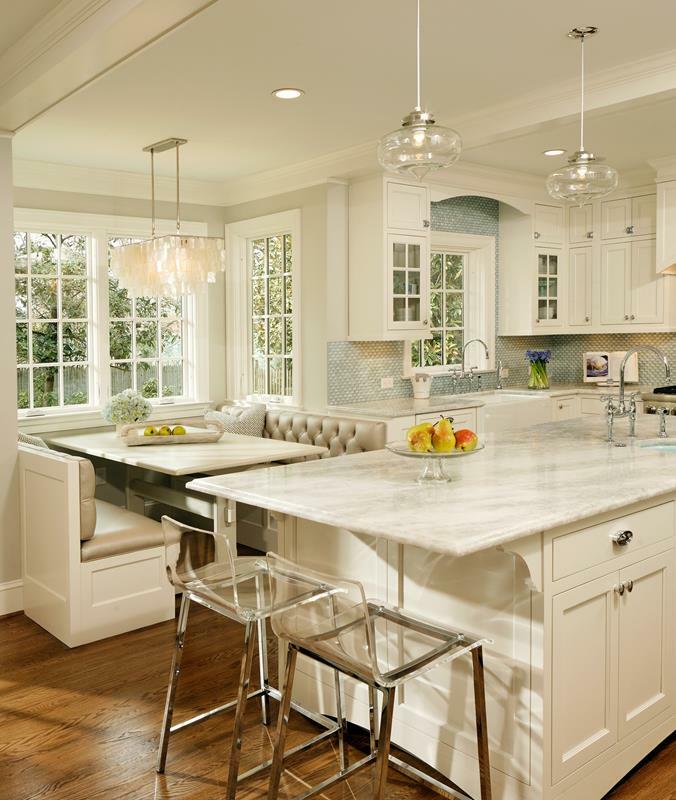 We love how you can pull up these two stools when you need some extra seating space. With the ease of this area and the multiple seating options, this is a great nook. With a nod towards a wonderful French dining area, this space pares is down and makes it a bite sized European wonder. This breakfast nook takes a simple country style area and adds some great color. 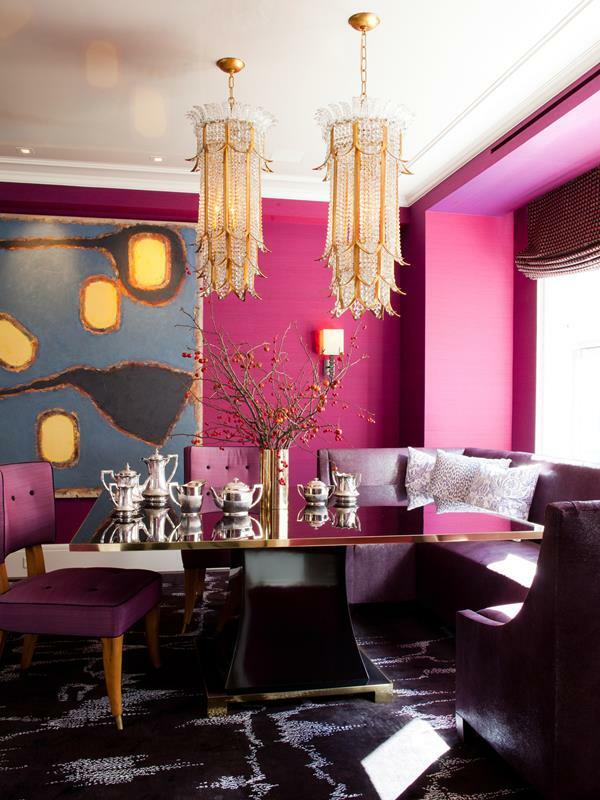 We live the vibe these color combinations add to this area. This breakfast nook perfectly matches the rest of this kitchen. With its all hardwood design, we live the country charm of this space. When we say this is modern, we are talking mid-century modern. 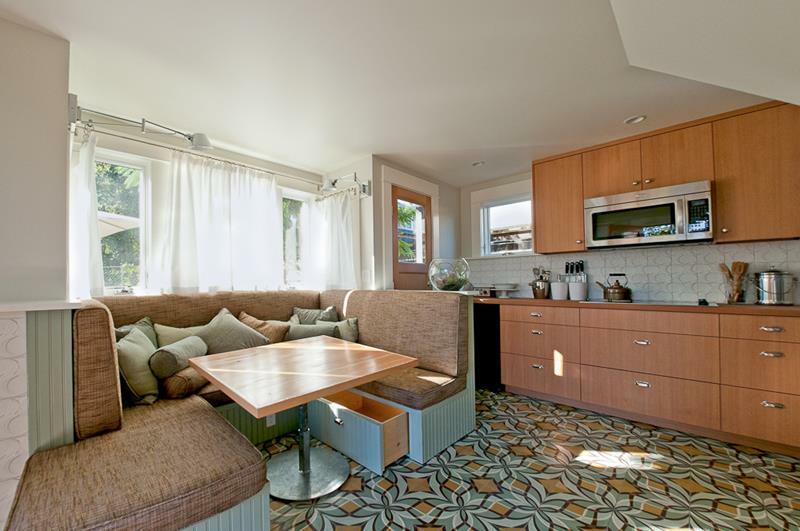 We love how the nook area matches the floor pattern. There is even some storage space built in. This breakfast nook area turns what could have been a simple window seating area into a wonderful eating space. 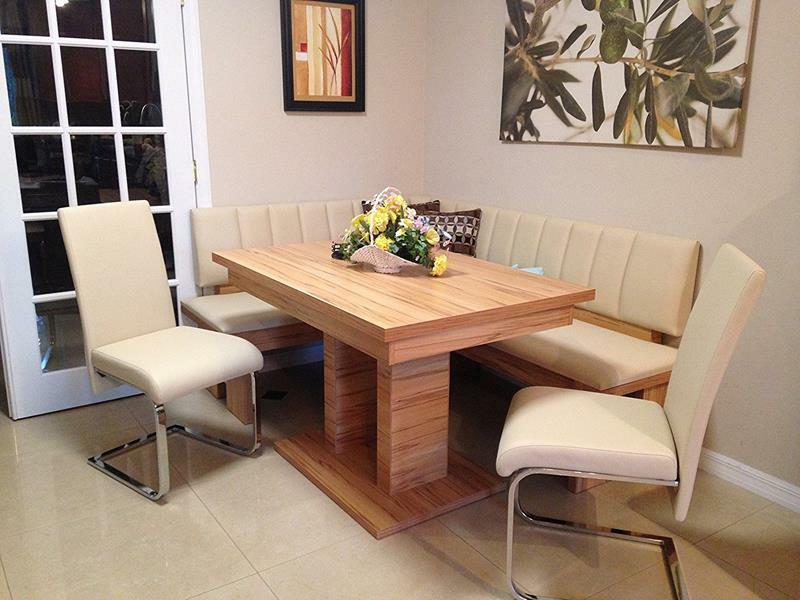 The wonderful modern table and chairs add great style. Usually when you think beach style, you think light and blue, but this space does it with hardwood and darker colors. 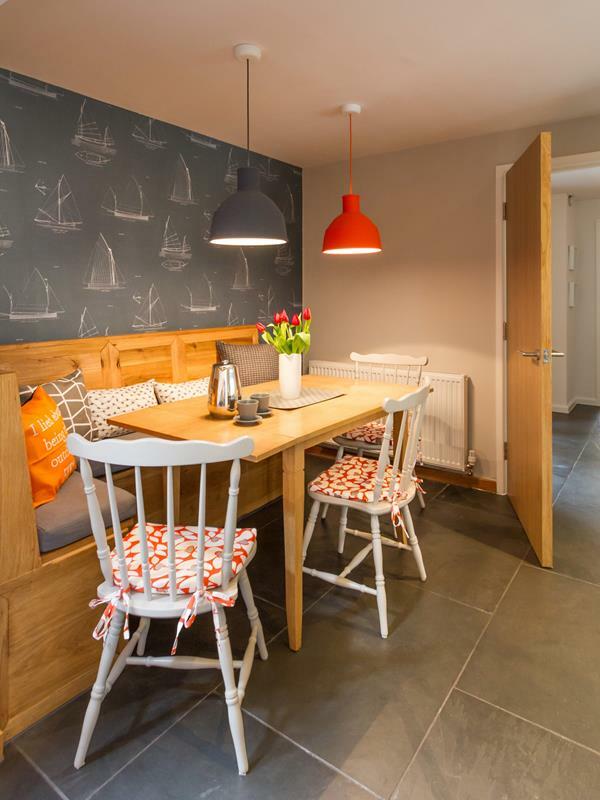 We love the hardwood bench seating. 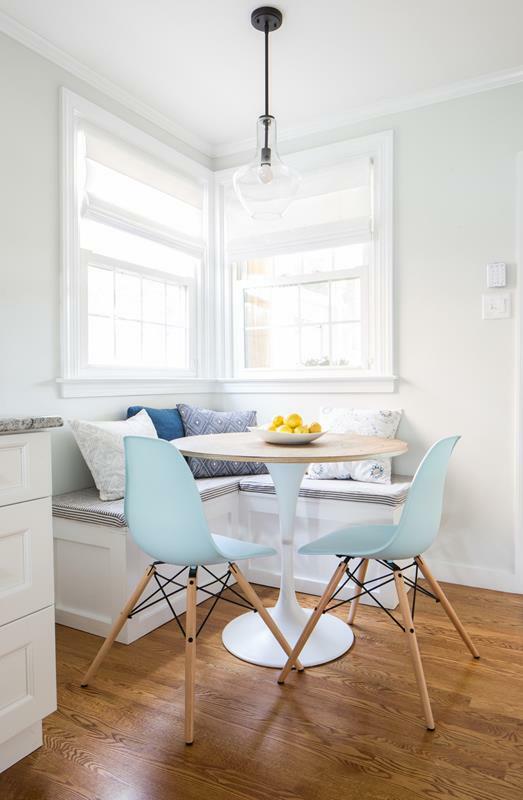 With a simple corner bench area and great hardwood and blue chairs, this nook area is a perfect match to this kitchen space. If you have a family with kids, make the breakfast nook fun for them, too. Here, we love the incorporation of a chalk board. 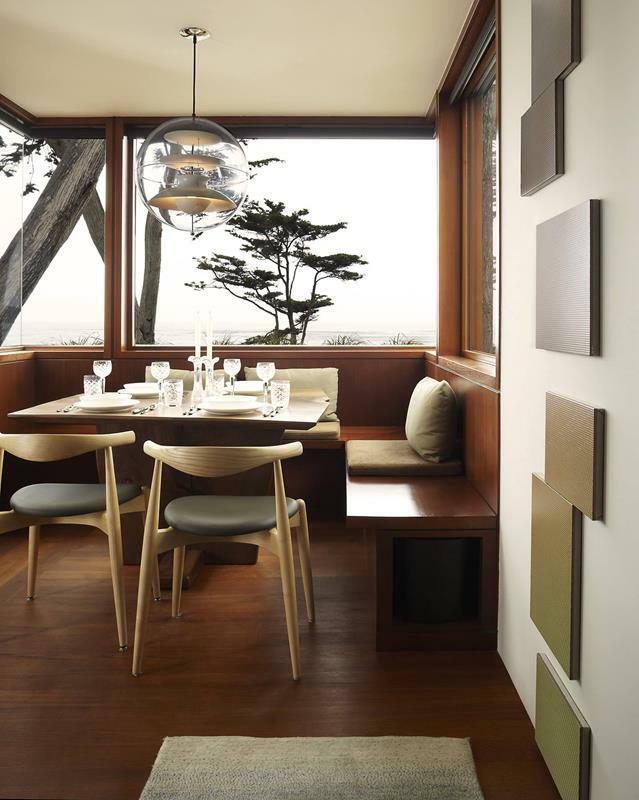 We love the simplicity of this breakfast nook. 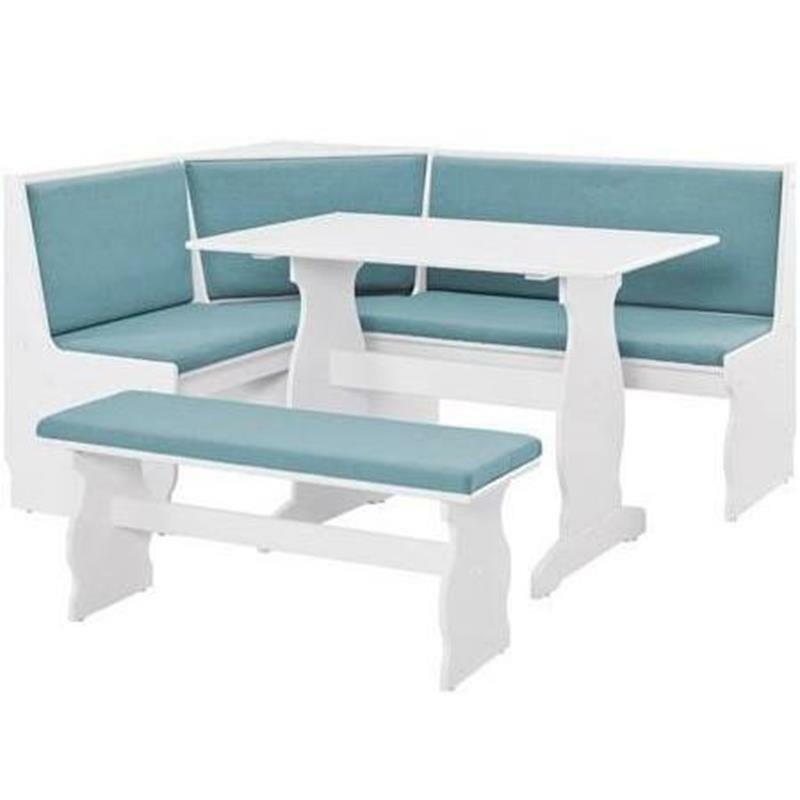 With a modern style and simple seating, you can enjoy a wonderful meal here. 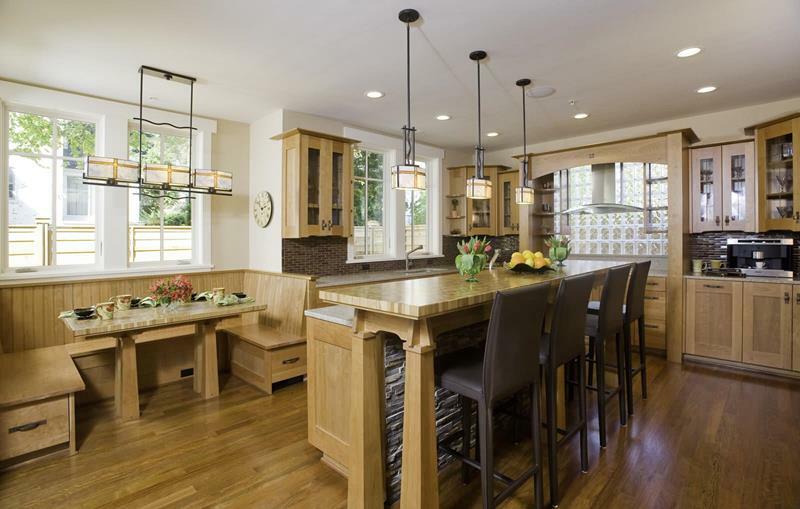 With a nod to Asian architecture, this breakfast nook has wrap around bench seating and a brilliant hardwood design. This breakfast nook really livens up the area. With a traditional style blended with Bohemian wonder, this area is fun and ready. 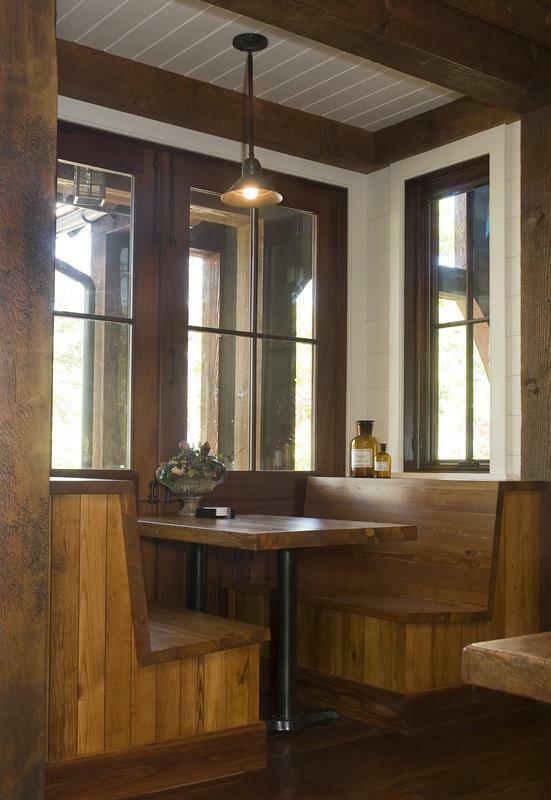 Nothing beats the rustic simplicity of this breakfast nook. Like a restaurant booth, you can slide in with your family and friends and enjoy your meal. 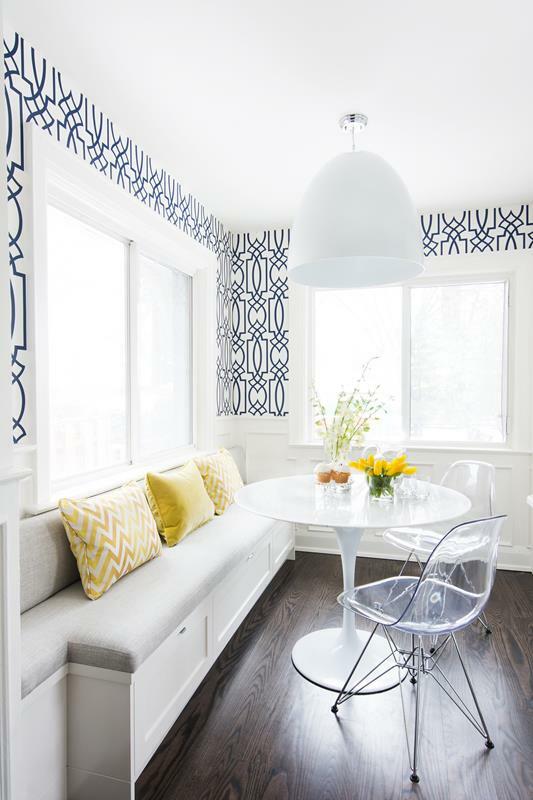 Running the length of the whole wall, this breakfast nook takes in all the natural light. With plenty of seating, this area can host many people at once. 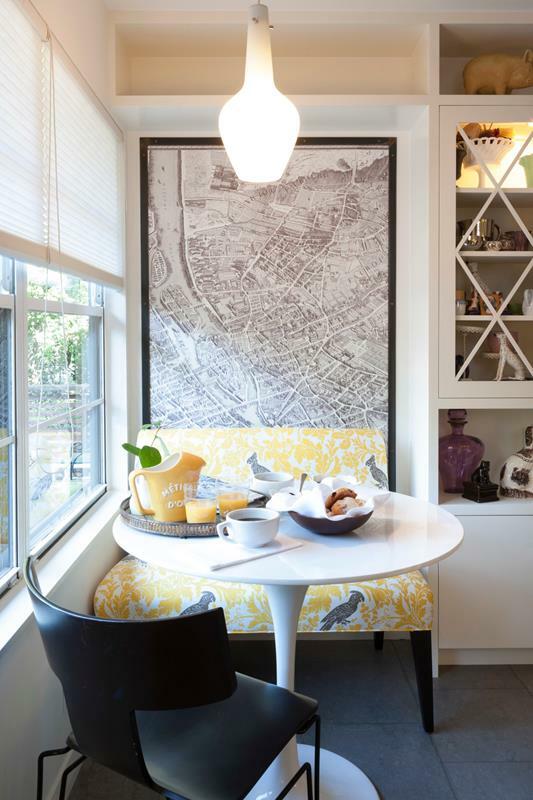 We love the city vibe of this breakfast nook. The rolling benches let you tuck them away nicely under the table when not in use. 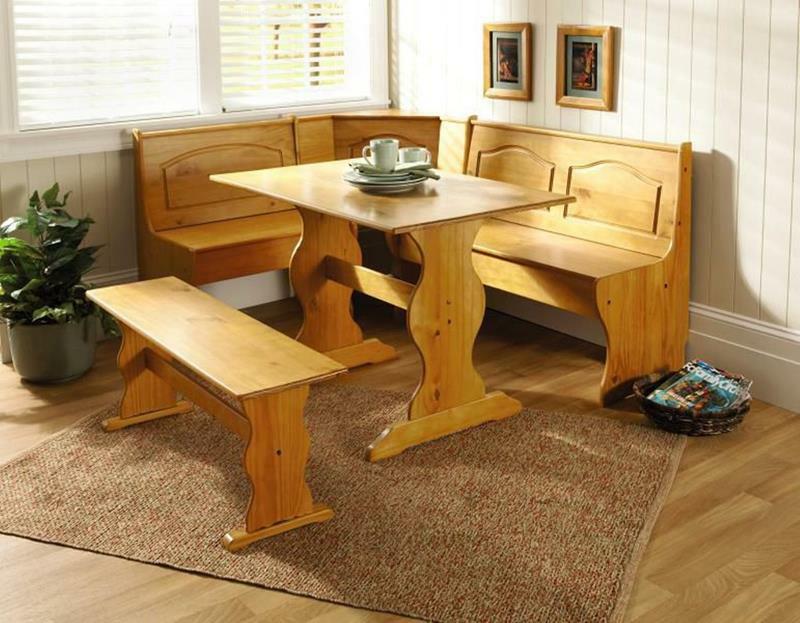 This traditional hardwood breakfast nook has a wonderful hardwood tone, not too light and not too dark. 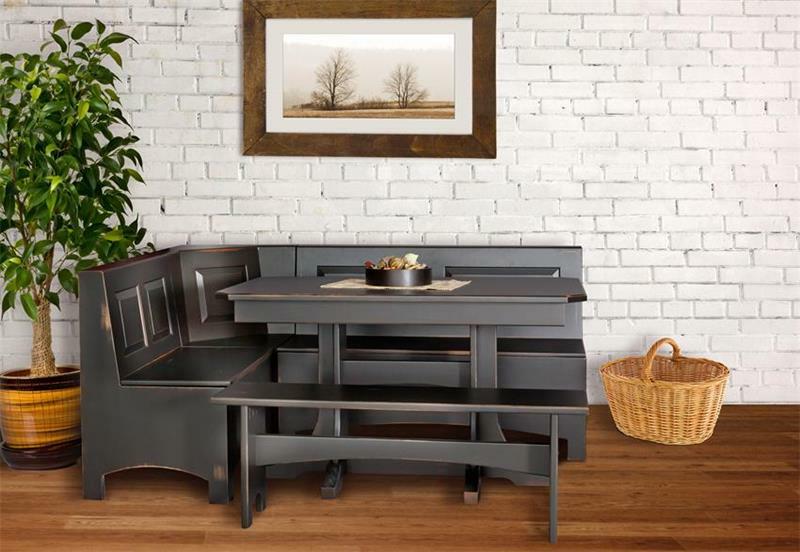 This 3-piece breakfast nook takes on a beautiful darker style and will look wonderful against lighter walls to create a great contrast. The contrast created by the cushion fabric against this darker hardwood nook makes all the different. It creates a calm elegance that is unmatched. The table quietly steals the show with this breakfast nook area, but don’t let it take away from the beautiful traditional style here. This contemporary nook has a wonderful metal from that is perfectly matched with darker cushions and a dark table top. We love how well this whole room blends together.